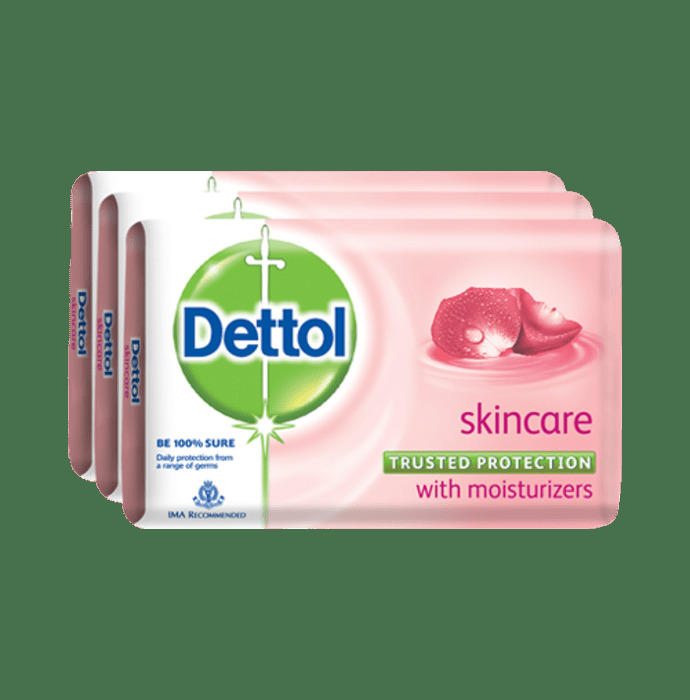 Dettol Skincare Soap is enriched with moisturizers to give a healthy, nourished and soft skin. Provide protection from a wide range of unseen germs. - Provide protection against diseases like Cold and Flu by adding a layer of Dettol protection. - Cleanses and protects the skin keeping you healthy every day.